Employee advocacy is the active promotion of company content and messages via social media by staff members. Effective employee advocacy programs have easy-to-understand social media guidelines, abundant and relevant content for team members to share, and technology to facilitate the social sharing experience. One of the responsibilities of the modern-day marketer is to champion the company on all public-facing fronts. This responsibility shines through in the way marketers consistently share content on their social channels to help spread the word — it’s automatic, a part of your content distribution you could practically do in your sleep. By default, you are a brand advocate. Whether you have an entire marketing team at your disposal or you’re a team of one, there are others at your organization who can help make an incredible impact… your co-workers. On social networking and content-sharing sites, respondents are far more trusting of family and friends (78 percent) than a CEO (49 percent). Knowing the value of an employee’s voice is prompting leading companies to integrate this tactic into their content marketing strategy. Employee advocacy not only brings credibility to your brand, it amplifies your content. People are relying more on this “person like yourself” concept, and prospects are listening to employees they can relate to. Because social media is key for driving brand loyalty, traffic and leads, getting your team on board with advocacy is a relatively simple and cost-efficient way to level up your distribution plan. Our company is already sharing, why should I? Obviously, check with upper management for approval before you make any promises, but these incentives can be excellent motivators with a hard-working crew. The “what’s in it for me” goes beyond the participation rewards. Help your team understand the impact, so they can care about the content as much as you do. Try to avoid a passionate marketing spiel here by making the content relevant on their terms. For example, your salespeople get the value of content, but they prefer the kind that will help them close deals, not marketing fluff. You have to tread lightly with their time by sharing content that enables them to do their job better and faster. Also, don’t even think about using the word “awareness” with your sales team. Give them success stats that speak their language, like those above from SalesStaff. Go with the numbers, not warm fuzzies. Make everything as easy as possible for your team. Expecting them to hunt down the latest blog post and share the link on their social channels is a pipe dream. It’s up to you to communicate and empower your team. If you have the budget for an employee advocacy tool, by all means go with this option to make everyone’s lives (including yours) easier. Here is a breakdown of three great employee advocacy tools. If you can’t afford an employee advocacy platform, all is not lost. Though communication will be more challenging without a tool, consistency is going to make or break your program. We know you like to nerd out on your content distribution flow chart, so make sure to map out your employee advocacy master plans as well. Depending on the diversity of your content and the size of your organization, you might consider a different plan for each department. Create a social media how-to guide, rather than a stuffy policy, to set some parameters and ensure your brand is being represented at its best. This is a great place to give a refresher on the brand guidelines, with some real-life social media examples that align with your organization’s messaging strategy. Always make sure your team knows what to do, whether that means incorporating employee advocacy into on-boarding or hosting a quarterly lunch-and-learn to connect with your team and answer questions. Remember, not everyone is a marketer — the things that are second nature to you are not that way for everyone else. Just like with any marketing program, you’ll want to use analytics to know what’s working and what’s not. Also, if you’re going to make good on your promise with incentives for your A-players, you need a way to track success. If you’re one of the lucky marketers able to purchase an employee advocacy tool, pay special attention to the tracking features. Again, most should come with, but make sure the analytics make sense to you and that they are showing the metrics you’re aiming for. Marketers going with a more manual approach will want to create specific UTM tracking codes for internal sharing links that you can track in Google Analytics. To view your results, go to Acquisitions. 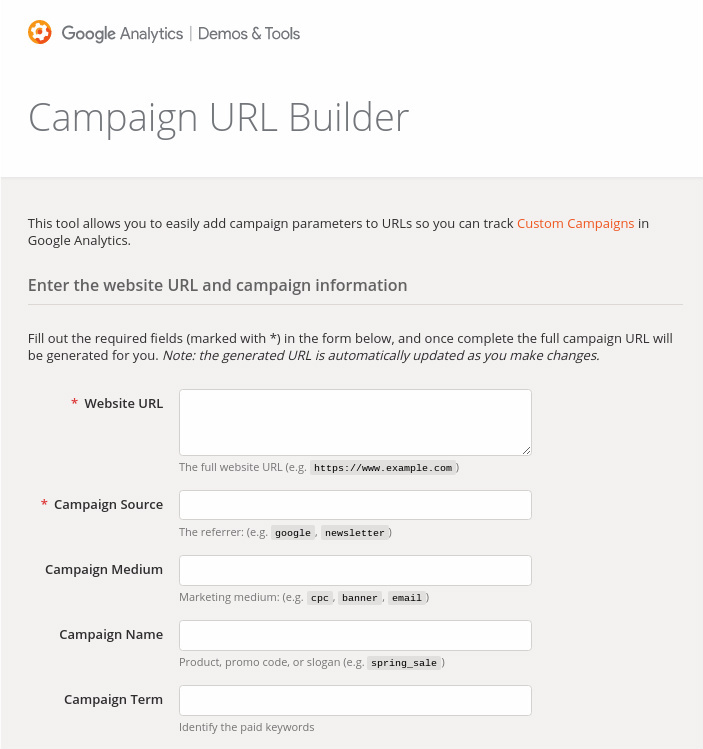 Add UTM tracking parameters to URLs here. Depending on the size of your company, you may want to create UTMs per department (larger teams) or per individual (smaller teams). This will end up shaping any incentive programs you create, of course, since you will need metrics to track progress. A little healthy competition between departments can be fun, and it will certainly be easier if you’re at a bigger organization without an employee advocacy platform. Be sure to share the correct links with your coworkers, so the tracking is accurate. No matter which method you’re using, share results with your team on a weekly basis, like website traffic or sales leads attributed to social efforts. Announce this in an all-hands meeting or include an update in the new blog communication you send out. Showing your team how their efforts are making an impact will keep them motivated. Employee advocacy programs are a win-win for your organization. It’s not just about that Kumbaya feeling of bringing everyone together for a common cause. It’s a way to amplify your content to help your organization stand out in a crowded space, setting you apart from your competition.